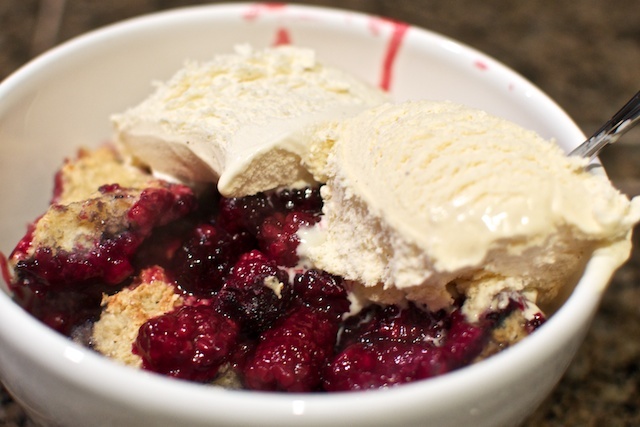 He just ‘threw together’ this blackberry cobbler the other day. If you liked the Strawberry Shortcake from last week, you're going to like this post. Same song … second verse. 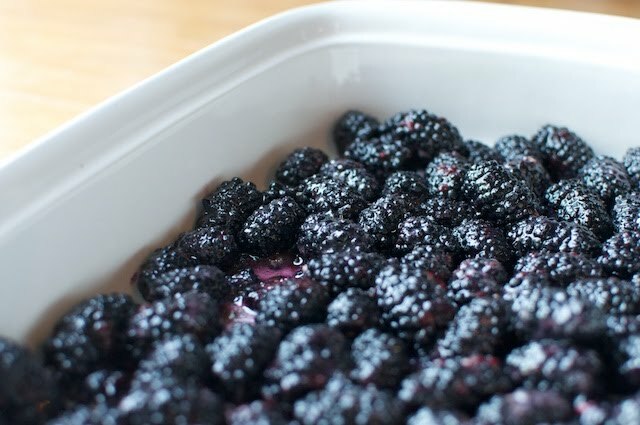 A few key differences … you bake the blackberries until they turn into tender, juicy sugar bombs. Then drop the biscuit dough on top and bake into a crispy-heaven-crust. Serve with a heap of vanilla ice cream, and pretend it's not over 100 degrees outside. Mix everything together except the butter. Once it is mixed properly, use a cheese grater to make little pea-sized chunks of the cold hard butter. Mix these chunks into the mix. 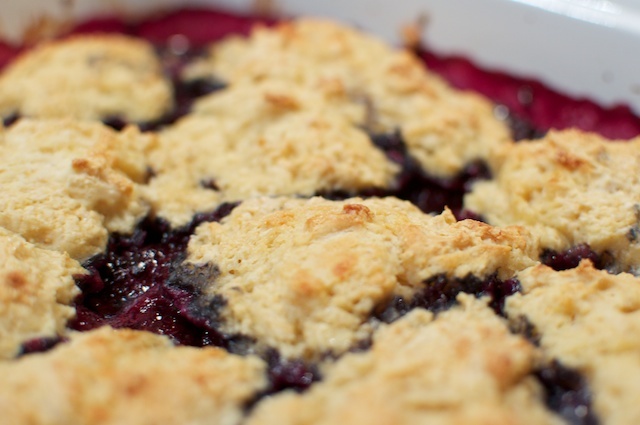 Drop large spoonfuls of biscuit mix on top of the cooked berries. Sprinkle some more sugar on top for fun and bake for about 20 min. Serve with vanilla ice cream.